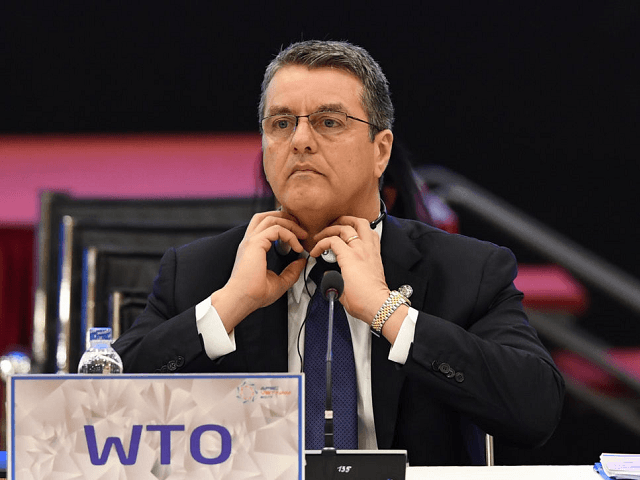 Director General of the World Trade Organisation (WTO) Roberto Azevedo has poured cold water on Remainer scaremongering about the consequences of Britain leaving the European Union without a trade agreement, remarking it wouldn’t be “the end of the world”. While British negotiators and the prime minister Theresa May are apparently working to get a trade deal with the European Union before Brexit becomes fact at any cost, bowing to EU demands over the so-called Brexit bill and even keeping Britain in the EU longer through a ‘transition period’, the senior diplomat told Britain’s Daily Telegraph that leaving without a deal wouldn’t be a problem. “About half of the UK’s trade is already on WTO terms – with the US, China and several large emerging nations where the EU doesn’t have trade agreements… So it’s not the end of the world if the UK trades under WTO rules with the EU”, he told the paper. Azevedo continued, remarking that while a full free trade agreement between the European Union and the United Kingdom would be ideal, there was no reason to be gloomy over one failing to materialise — especially perhaps given the extremely high costs presently associated with getting one signed — and that trade would not simply cease to exist if Britain opted for a clean, hard Brexit and departed without a deal, as commended by many key Brexiteers including campaign leader Nigel Farage. Britain hasn’t taken its dormant seat at the World Trade Organisation since 1973, when it joined the Common Market — which later evolved into the European Union, taking Britain with it. Azevedo told the Telegraph he was optimistic about Britain’ future involvement in the organisation, remarking the UK could be “more flexible in its approach and quicker to react within the WTO, as you don’t have to coordinate with all the other members of the EU… the UK is by no standards a minor economy or a minor player in the multilateral system”.